Wheat is quickly becoming a vicious allergen. You probably know someone who’s gluten intolerant, seeing as it’s one of the most common digestive disorders of our time. And while celiac’s disease has been around for longer, the number of people sensitive to wheat has been increasing steadily in the last decade. With more and more people being diagnosed, it’s bringing up some serious questions about how wheat is being grown. 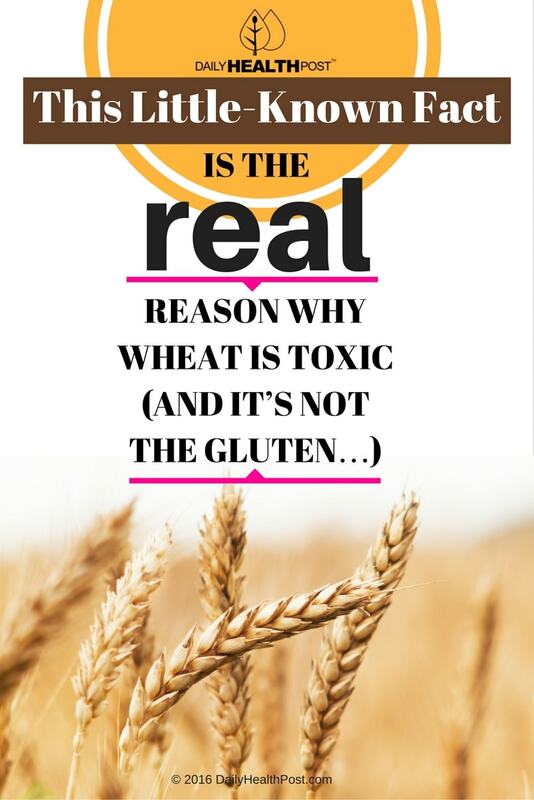 Other than being genetically modified, which can alter your body’s ability to recognize its nutrients, North American-grown wheat is laden with toxic herbicides and pesticides. 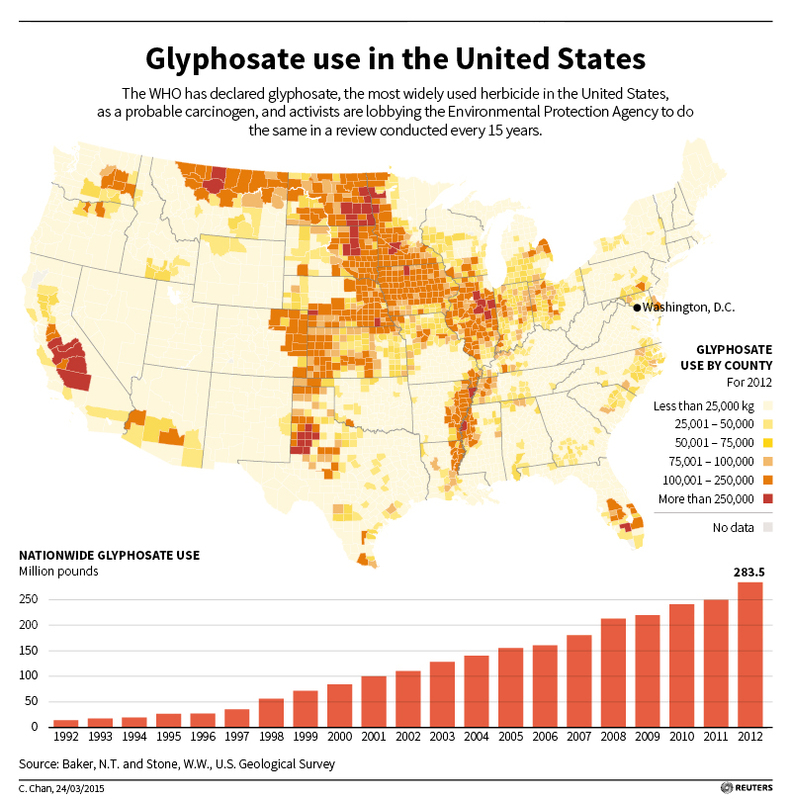 One of Monstanto’s most famous herbicides, called “Roundup” (gyphosphate) is the most commonly used chemical on wheat fields because it dries up the crop before harvest, forcing the plants to release their seeds (1). This has been common practice for farmers in the USA, Canada, Great Britain and Germany for the last 10-15 years. The chemical is currently banned from many European countries but American politicians still don’t seemed too concerned about it’s effects on public health. In 2012, at least 283.5 million pounds were sprayed on American farmlands, according to this U.S. Geological Survey. Alarmingly, results from a German study shows that even people who have no direct contact with agriculture have significant concentrations of glyphosate in their urine (2). Glyphosate has been linked to risk of fertility problems in women, such as infertility, miscarriages and birth defects (3). It’s also on the World Health Organization’s list of carcinogenic chemicals (4). A 2009 study that tested various formulations of Roundup found even when they were highly diluted (up to 100,000 times or more), human cells died within 24 hours of contact with the solution (5). What’s worse, when applied to crops, the glyphosate becomes systemic throughout the plant, so it cannot be washed off. And once you eat it, the glyphosate ends up in your gut where it can decimate your beneficial bacteria. Since your gut bacteria makes up most of your immune system, the end result is that your body develops an immune reaction to the chemical. In comparison, in Celiac’s disease, the body has an immune reaction to gluten. Gut dysbiosis is a condition of microbial imbalance in your intestines that can lead to gut inflammation and leaky gut. Hence, glyphosate mimics gluten sensitivity and celiac’s disease by causing similar gastrointestinal symptoms (7). Unfortunately, it takes time for your body to fully detox from glyphosate. As much as you can, protect yourself and your family by purchasing organic non-GMO products and foods. If you can’t afford to buy organic all the time, choose non-GMO rice, quinoa or other ancient grains. Eat foods rich in probiotics, which prevents leaky gut, helps synthesize vitamins and provide the foundation for a strong immune system. Glyphosate exposure can cause irreversible damage over time, so it’s incredibly important to avoid.